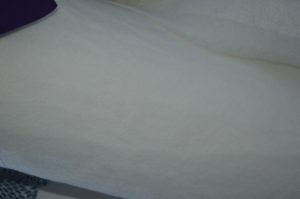 MATILDA’S OWN POLYESTER WADDING – 2.4 METRES WIDE SOFT AND EASY TO NEEDLE BY HAND OR MACHINE. GREAT FOR THOSE WITH ALLERGIES, THIS HAS A HIGH LOFT MACHINE WASHABLE WILL LAST AS LONG AS YOUR QUILT. SOFT AND EASY TO NEEDLE BY HAND OR MACHINE. WILL LAST AS LONG AS YOUR QUILT.